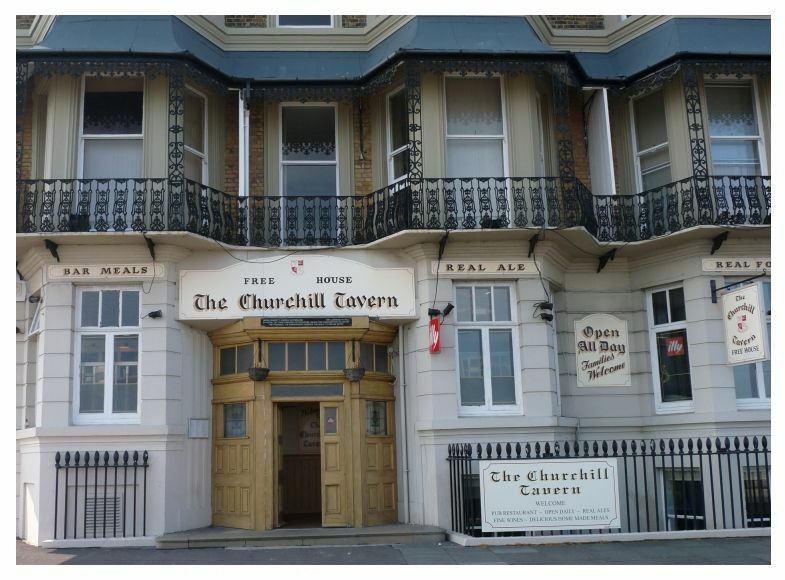 The Churchill Tavern is a traditional country pub and restaurant right in the heart of Ramsgate town. With a relaxed atmosphere and even a sea view, why drive out to the sticks? We offer a great deal to all our customers, just click on any of the options below to find out more. We are a true, traditional country pub with a great range of beers and real ales available on tap. Our fantastic head chef is passionate about hearty British food. Check out our menu for more info. There is always something happening in the Churchill Tavern. Check out our events listing to find out more. Looking for a venue to host your function? We have three different areas that can cater for all your needs. 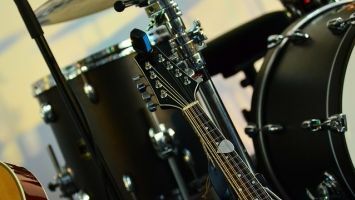 We host the best local bands on Saturday nights and Sunday evenings. For full listings over the coming weeks, please view our events calendar. Every Friday night is Steak Night! 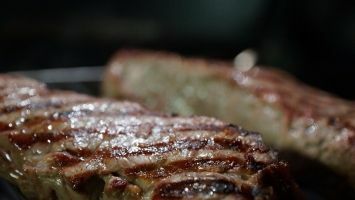 £22.00 for 2 people with a choice of 8oz Rib-Eye or 8oz Sirloin Steak with Homemade Chips & Salad. Our landlord Stuart takes good care of locals and first time visitors alike. Whether you’re popping in for a pint from the best selection of Real Ales in the area or staying for one of our many weekly events, you are safe in the knowledge that there’s nowhere else you should rather be. From our ever popular Sunday Lunch through to our homemade bakewell tarts, all the food in our restaurant is fresh, lovingly prepared and really tasty. 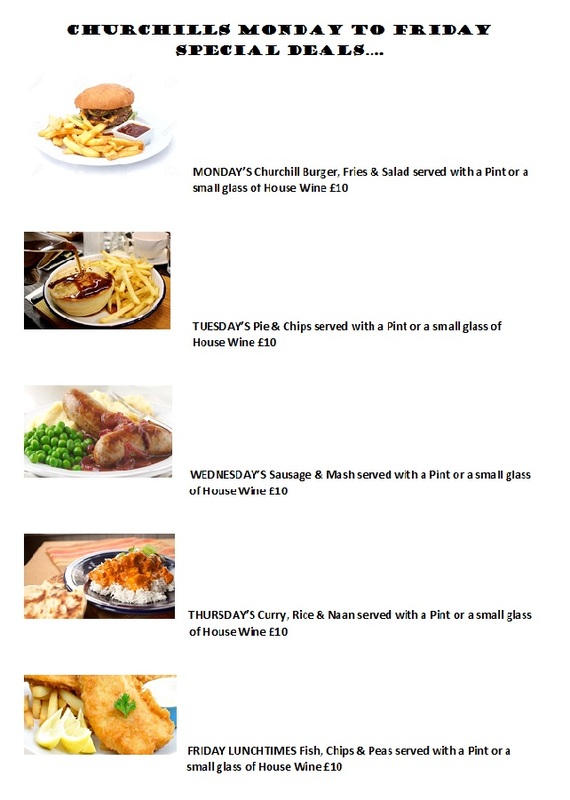 We have breakfast (weekends), lunch and dinner menus to view on our restaurant page. Click the button below to view.